My neighbour gave me a few mustard seeds once, and I haven’t had to ask again. They can outcompete couch grass, so long as you don't mow them down constantly. They can get by without additional water. After the first season I spread the seeds all around the yard and now it is coming up everywhere. In terms of eating quality it tastes like mustard. When raw it has a very strong flavour. However it can be used in almost all cooking as a substitute for spinach, pak choy or other greens, and the flavour will cook out. I would imagine the raw leaf would go well on sandwiches as a mustard substitute, but I haven’t tried this. The leaves get very large and the stems, which are a bit like celery, get tiny spikes on them. These can cause mild discomfort, but have not broken my skin. They disappear with cooking. I'm not sure what type of mustard this is. It gets very large dark green leaves with a serrated edge, up to 60cm long and 30cm wide, but only during winter and spring. During the warmer months it goes to seed earlier. It throws seed heads up about 1.4m, with bright yellow flowers, then leaves behind a woody stem. The seeds are easy to collect and can be used for making mustard or as a garnish, if you could be bothered. The mustards are several plant species in the genera Brassica and Sinapis whose proverbially tiny mustard seeds are used as a spice and, by grinding and mixing them with water, vinegar or other liquids, are turned into a condiment also known as mustard. 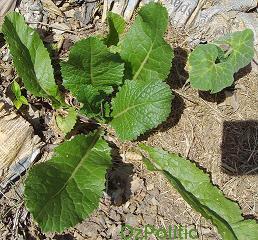 The seeds are also pressed to make mustard oil, and the edible leaves can be eaten as mustard greens. Mild white mustard (Sinapis hirta) grows wild in North Africa, the Middle East and Mediterranean Europe and has spread farther by long cultivation; brown or Indian mustard (B. juncea), originally from the foothills of the Himalaya, is grown commercially in the UK, Canada and the US; black mustard (B. nigra) in Argentina, Chile, the US and some European countries. Canada grows 90% of all the mustard seed for the international market. In addition to the mustards, the genus Brassica also includes cabbages, cauliflower, rapeseed and turnips. There has been recent research into varieties of mustards that have a high oil content for use in the production of biodiesel, a renewable liquid fuel similar to diesel fuel. The biodiesel made from mustard oil has good cold flow properties and cetane ratings. The leftover meal after pressing out the oil has also been found to be an effective pesticide. Brassica juncea, also known as mustard greens, Indian mustard and leaf mustard, is a species of mustard plant. Cultivars of B. juncea are grown as green vegetables and for the production of oilseed. B. juncea subsp. tatsai has been selected to grow an especially thick stem, used to make the Chinese pickle zha cai. The mustard made from it is called brown mustard. Other sub-varieties include Southern Giant Curled Mustard which resembles a headless cabbage such as Kale, but with a distinct horseradish-mustard flavour. B. juncea can hyperaccumulate cadmium. Mustard greens (also known as green mustard cabbage), the leaves of the Indian mustard plant (Brassica juncea), are one of the greens considered to be an essential element in soul food. They are more pungent than the closely-related Brassica oleracea greens (kale, cabbage, collard greens, et cetera) and are very frequently mixed with these milder greens in a dish of "mixed greens", which can also often include wild greens such as dandelion. As with other greens in soul food cooking, they are generally flavoured by being cooked for a long period with ham hocks or other smoked pork products. Mustard greens are also extremely high in Vitamin A and Vitamin K.
Chinese and Japanese cuisines make much more use of mustard greens. A large variety of B. juncea cultivars are grown and enjoyed, such as zha cai (tatsoi), mizuna, juk gai choy, and hseuh li hung. Asian mustard greens are generally stir-fried or pickled. A South-East Asian dish called asam gai choy or kiam chai boey is often made with leftovers from a large meal. It involves stewing mustard greens with tamarind, dried chillies and leftover meat on the bone. Brassica is known as sarshapa in sanskrit language, it is an ayurvedic medicine. Brassica oleracea or Wild Cabbage, is a species of Brassica native to coastal southern and western Europe, where its tolerance of salt and lime but intolerance of competition from other plants typically restricts its natural occurrence to limestone sea cliffs. 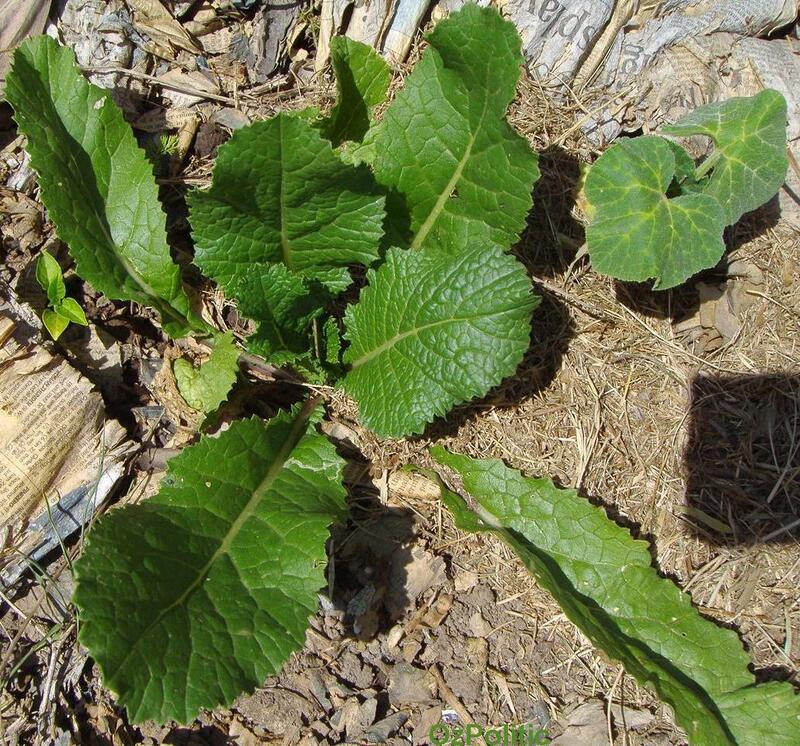 Wild B. olearacea is a tall biennial plant, forming a stout rosette of large leaves in the first year, the leaves being fleshier and thicker than those of other species of Brassica, adaptations to store water and nutrients in its difficult growing environment. In its second year, the stored nutrients are used to produce a flower spike 1–2 m tall bearing numerous yellow flowers. Although B. oleracea is believed to have been cultivated for several thousand years, its history as a domesticated plant is not clear before Greek and Roman times, when is known to be a well-established garden vegetable. Theophrastus mentions three kinds of this species: a curly-leaved, a smooth-leaved, and a wild-type. It has been bred into a wide range of cultivars, including cabbage, broccoli, cauliflower, and more, some of which are hardly recognisable as being members of the same species. It is one of the most important human food crop plants. According to the Triangle of U theory, B. oleracea is very closely related to five other species of the genus Brassica. Some (notably Brussels sprouts and broccoli) contain high levels of sinigrin which is thought to help prevent bowel cancer.